It seems like you can't turn around without seeing another study about how bad sugar is for you. The government wants us to cut back. New dietary guidelines  urge Americans to limit their sugar intake to 10% of their daily calories. Here's your wakeup call: most people would have to cut their sugar intake in half to meet the guidelines. As parents, we try to limit our kids' sugar intake. We avoid sugary foods, steer clear from soda and limit juice, but many parents have been fooled into thinking sports drinks are a healthier option. As a professional athlete and a concerned father, I can tell you many are not. I don't believe that these sugared-up drinks are best for my body, and they're certainly not good enough for my kids. 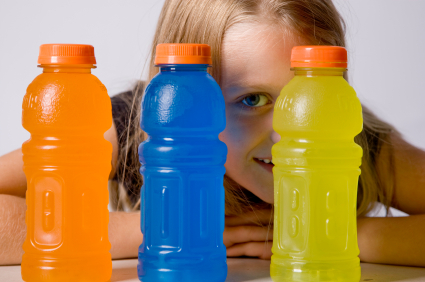 Kids ask for the big name sports drinks because they see their favorite athletes endorsing them on TV. The industry leaders use bright colors and a lower price to grab your attention. These are the drinks that have the preservatives, artificial colors and added sweeteners that aren't what our kids or athletes need. My son plays hockey just like his dad, and my wife and I are always looking for ways to keep him hydrated without all the artificial ingredients. One day, my wife told me about a healthy alternative she found at his ice rink. Once I looked into the product and the company, I knew I wanted to be involved. I am not only an endorser for ASPIRE beverages, I am an investor in the company. Whether you choose ASPIRE or another sports drink, look for something that has less than 40 calories per 12 ounce serving to help meet dietary guidelines. When you examine the ingredients, avoid additives like preservatives and sweeteners and specifically look for natural ingredients. That is what we need to help our bodies perform their best. I am appealing to parents. It is time we take a closer look at the ingredients in the beverages we give our kids. I am appealing to athletes at all levels. It is time we take a closer look at what we are encouraging kids to drink in the name of sports. Here's to a healthier future for all. Ryan Suter is a defenseman and alternate captain for the Minnesota Wild of the National Hockey League and won a silver medal playing for the U.S. national team at the 2010 Winter Olympics in Vancouver. He and his wife Becky live in Madison, Wisconsin in the off-season and are parents of a son, Brooks, and two daughters, Avery and Parker. It is time parents take a closer look at the ingredients in the beverages we give our kids, says NHL star Ryan Suter.